Description: The object is to get as many matches as possible. You ask other players for bugs that match yours. 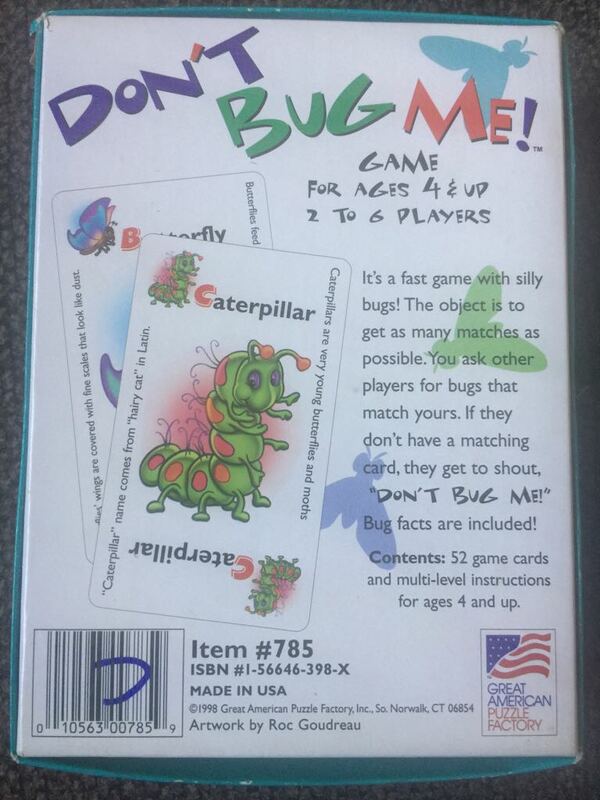 If they don’t have a matching card, they get to shout ”Don’t Bug Me!”. Bug facts are included. 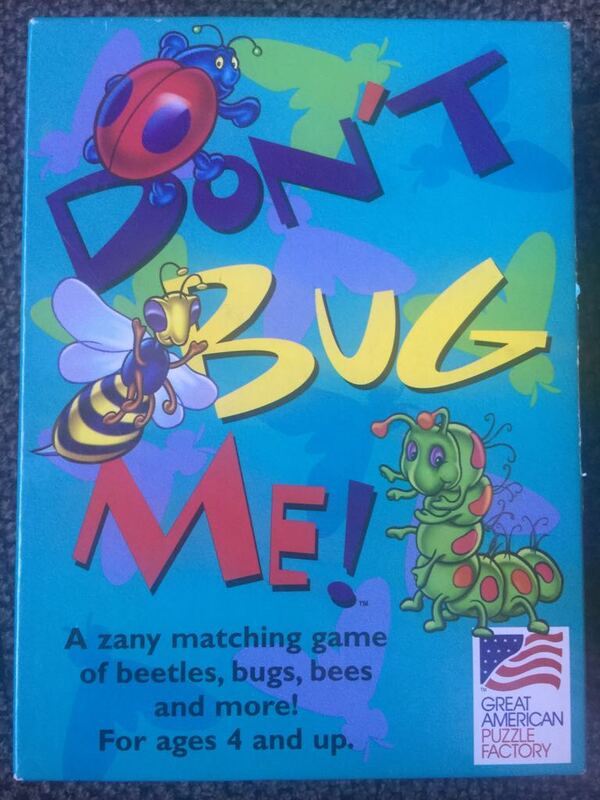 Fun and educational game for the kids! Includes 52 game cards.